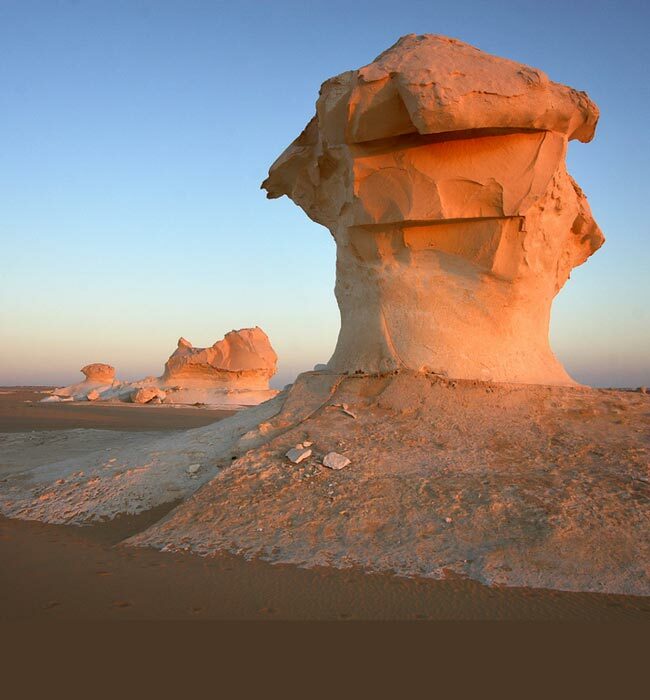 With a treasured culture, turbulent history and year round sun, Egypt has the perfect set of ingredients for all types of people with varied interests. 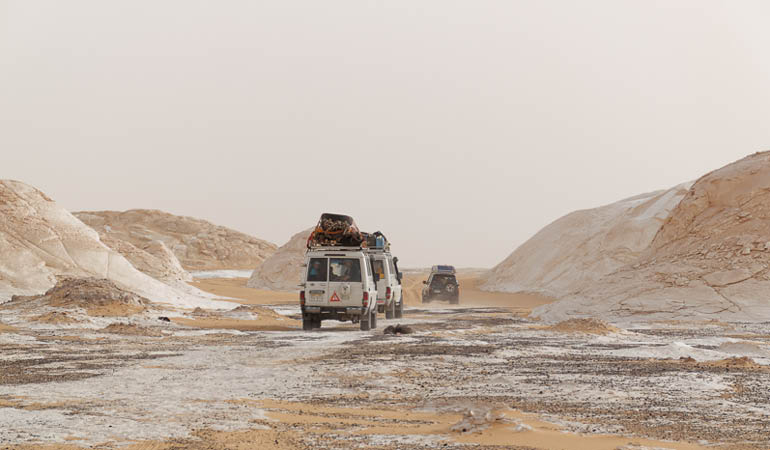 The Desert explorer not only visits the famous pyramids & museums, but takes you further afield into one of Egypt's most rich National Park regions of the Sahara. 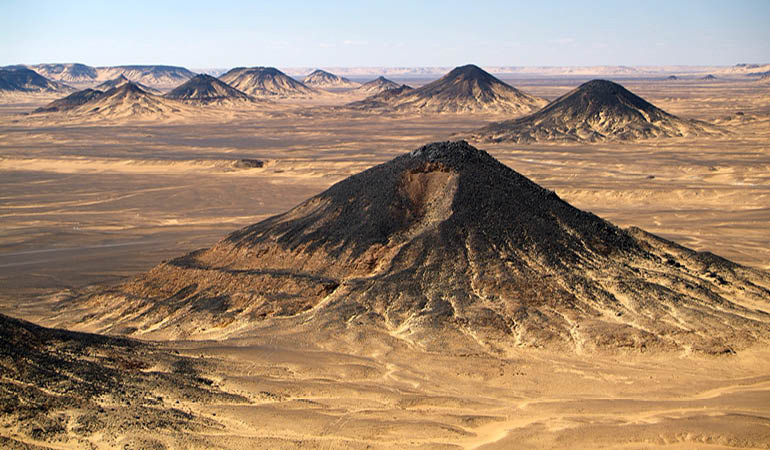 Teaming with historical reference, wildlife new and old with fossilized animals from the ancient sea bed, geographical wonders of the Black Desert & White Desert and natural hot springs. 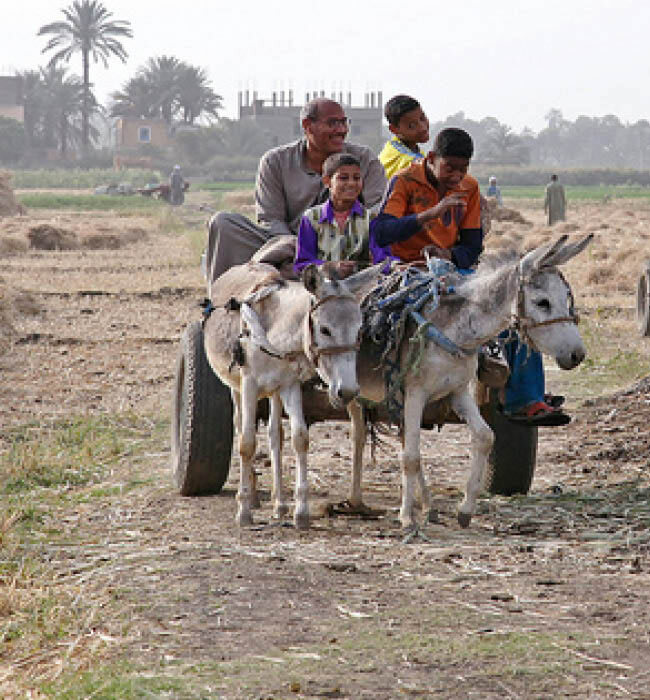 This adventure tour allows your to discover a different side of Egypt while immersing yourself into the rural life and culture of local villages belonging to the oasis, along with the bustling city streets of Egypt’s capital. Airport transfer from/to Cairo airport, all transfers outlined in itinerary, 4x4 Jeep. 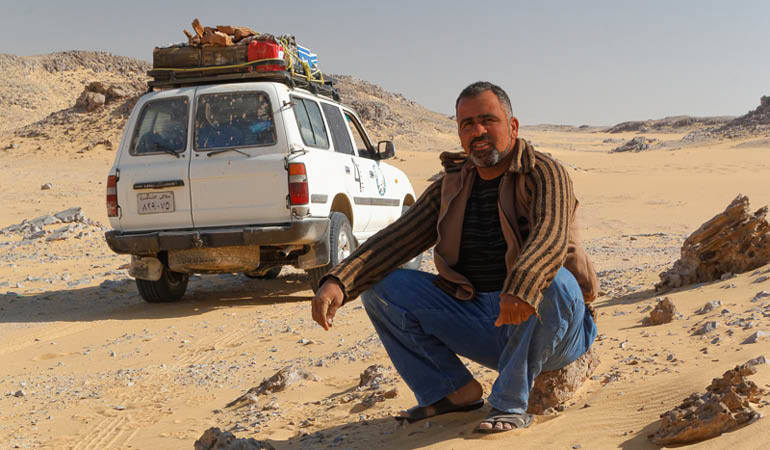 EMBAH tour leader & drivers, experienced desert guide & Egyptologist. 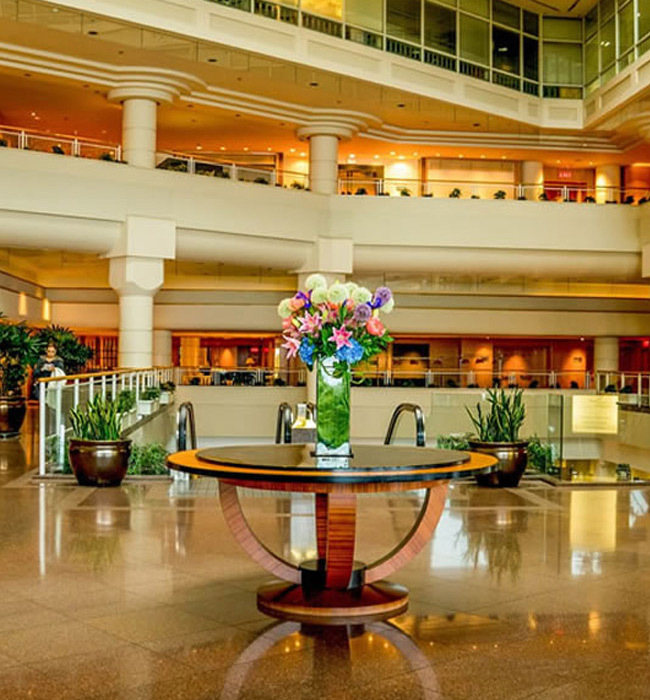 Our EMBAH Tour leader will welcome you at Cairo International airport and accompany you on the transfer to the centre of Cairo and check-in hotel. A time wil be given for a briefing with your tour leader to discuss the days head and asnwer any questions or requests you may have. Free time to explore the area. 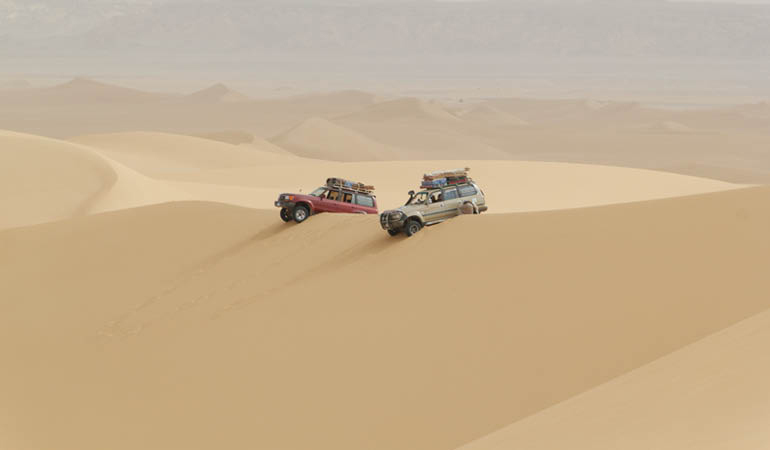 This morning you set off by 4x4 jeep to explore the Black Desert and its amazing landscape. After lunch you will get an authentic taste of traditional desert travel joining a camel safari. As the sun sets you can relax and enjoy the peaceful desert atmosphere whilst watching the crew cook a tasty supper over the open fire using fresh local ingredients. This a great opportunity for stargazing or swapping stories around a crackling campfire before snuggling into your sleeping bag for a well earned rest. Bordering on the Black Desert is the contrasting White Desert, which is where you will explore today, including a visit to the tomb of Alexander the Great. 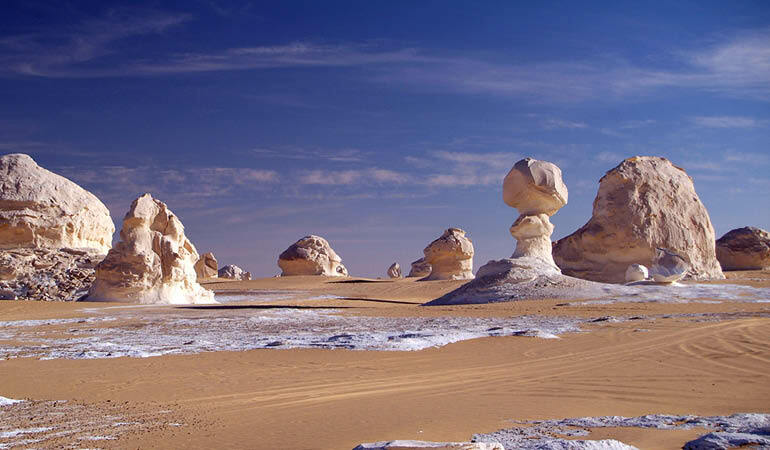 Explore the tranquil White Desert with it’s many weird and wonderful rock formations strewn accross the chalk-white landscape. 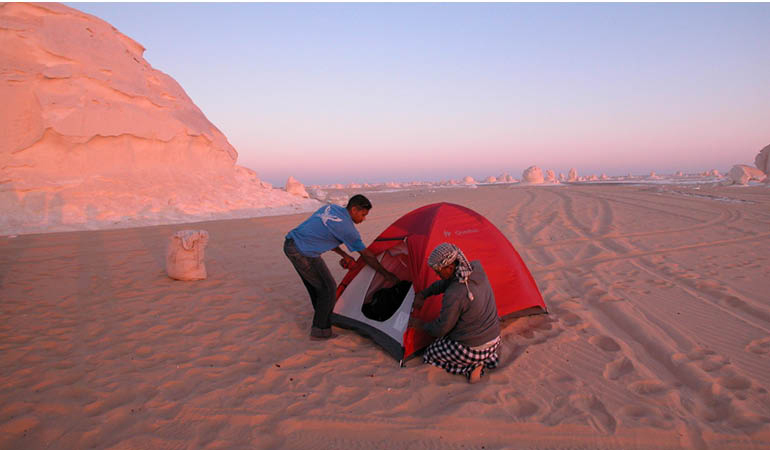 Camp is set within the White Desert and up camp for the night. Dinner around the camp fire. 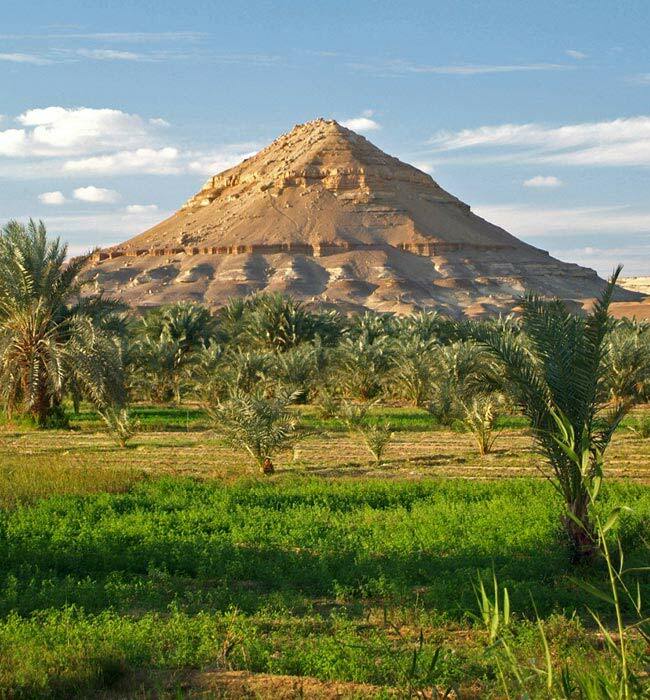 Inspite of it’s location, several hundred kilometers into the Western Desert, the Bahariya Oasis is lush and fertile. An estimated 30,000 people earn their living from this land by cultivating olives and dates aswell as breeding turkey’s. Wash off the desert dust with a morning visit to the warm springs where you can enjoy a refreshing dip. After lunch we continue by 4x4 jeep to a lodge approximately 30km from Wadi Hittan where we will spend the night. Today we travel by jeep to the bird sanctuary in Wadi Rayyan, a man made oasis, before moving on to Wadi Hattan. Known as The Valley of the Wales, you will be one of the few tourists to visit this UNESCO World Heritage Site containing the fossilized bones of hundreds of prehistoric whales with some dating from as far back as 40 million years ago! As we venture deeper into the desert the terrain gets alot tougher and you will be glad of the comfort of your 4x4 vehicles. Late afternoon transfer to Cairo where you will check into your hotel for 2 nights. 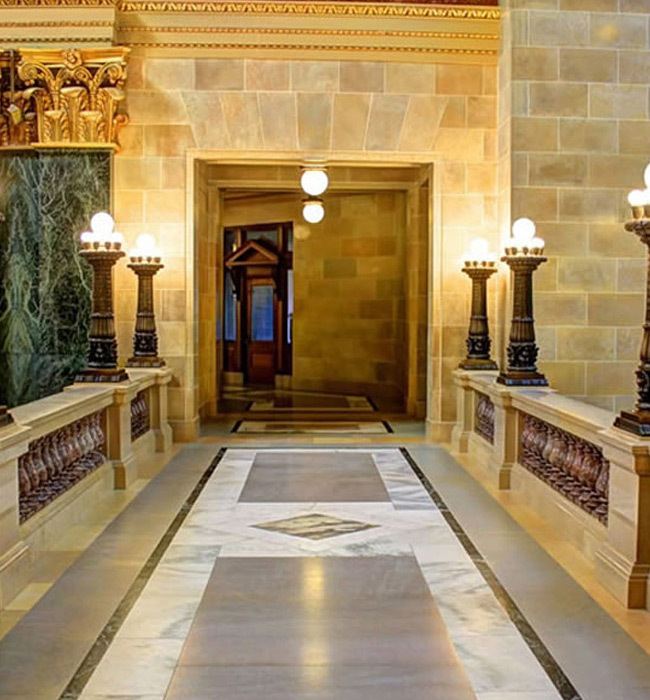 Morning visit to the Egyptian Museum of Antiquities where you will see a mesmerizing display of artifacts including the spectacular Tutankhamun collection. 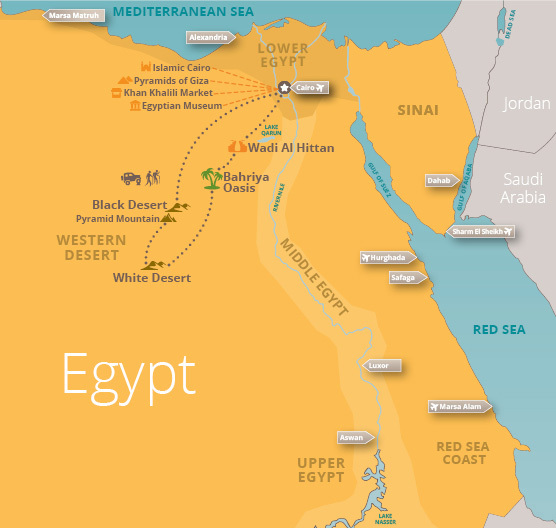 Moving on to the west bank of the Nile we will visit the Great Pyramids of Giza and the Sphinx. The afternoon is free for you to explore Cairo, where you can visit the oldest pyramid in the world at Sakkara or drive to Old Cairo and explore the Citadel - a complex of mosques and museums housed inside a magnificent fortress. Khan El Khalili bazaar is well worth a visit as it is one of the largest bazaars in the Middle East. Alternatively you may choose to sit and relax in one of the many traditional tea houses and watch the world go by. In the evening your tour leader will arrange a traditional dinner. The tour ends today unless you have extended your stay. 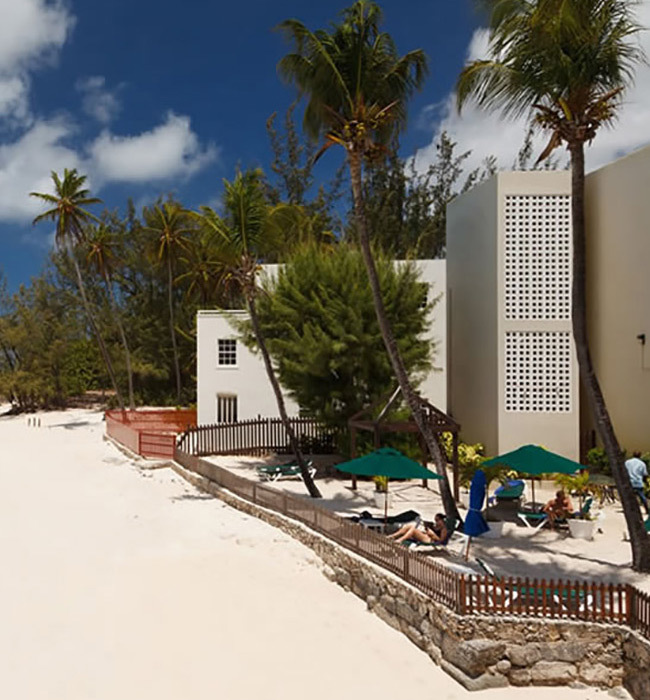 Your guide will arrange your return transfer to the airport for your flights home.